Bob Boze Bell's Big Bad Book of Bad Diary Entries: Who's The Bigger Fibber? Flood, Lake or Burns? I have always wondered it Wyatt actually told Burns all the tall tales or if he told the real stories of Wichita and Dodge and Burns changed the hero to Wyatt. If Burns actually talked to people in Wichita and Dodge or did any research he would have seen Wyatt did not participate in these stories. If so why did he leave them in the book? Having just read the Flood manuscript, and after comparing it to Burns and Lake I think I have a pretty good idea of what happened: Wyatt is exaggerating his exploits in the Flood manuscript trying to make it commercial as a book and a possible movie. No problem there. Plus Wyatt was just about the last guy standing, with the possible exception of John Clum and Billy Breakenridge. Bat Masterson died a couple years before (and allegedly said the true story of the west will never be known until Wyatt Earp talks! ), Morgan, Warren, James and Virgil were gone, Behan was gone, Earp mentions in the Flood manuscript he is the last guy standing from the Peace Commission photo. So he probably thinks there is no harm amping up his exploits a little to make a buck. 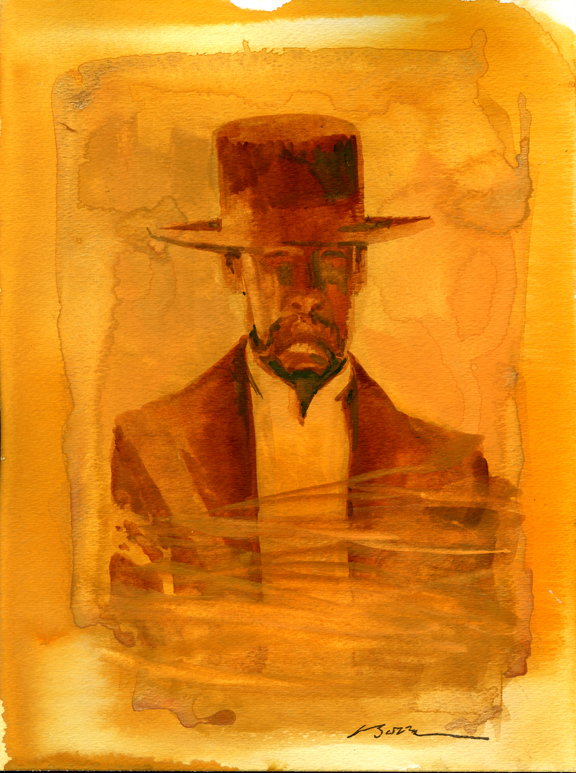 In the Flood manuscript, Wyatt claims to have backed down Clay Allison in Dodge (they have a testy showdown with Wyatt standing in the street and Allison on horseback, and Allison leaves without firing a shot). Could have happened. Either Lake or Burns, I can't remember which, actually attended a reunion of old-timers in Dodge and interviewed them. Now, the last place you would go seeking the truth is a reunion. Hip boots required. If you don't believe me drop in on your high school reunion and listen to the stories. You might think you went to a different school. At any rate, Stewart Lake came in behind Flood and Burns and amped up everything. We did a comparison in True West about ten years ago, between the Burns and Lake accounts, shot for shot. If Burns says Ike Clanton and crew took two shots at Wyatt in the Tucson Rail-yard, Lake ups it to four (and by the way, nobody shot at Wyatt in the Tucson Rail-yard). In both Burns and Lake, in every single fight, there are more shots fired than the record shows. Now, granted neither Burns nor Lake have 109 CRACKs at the O.K. fight, but they are still amping everything up. "There was a lot of talk in Dodge about the specials slowing us on the draw," Wyatt recalled. "Bat and Bill Tilghman cut off the barrels to make them standard length, but Bassett, Brown, and I kept ours as they came. Mine was my favorite over any other gun. I could jerk it as fast as I could my old one and I carried it at my right hip throughout my career as marshal. With it I did most of the six-gun work I had to do. 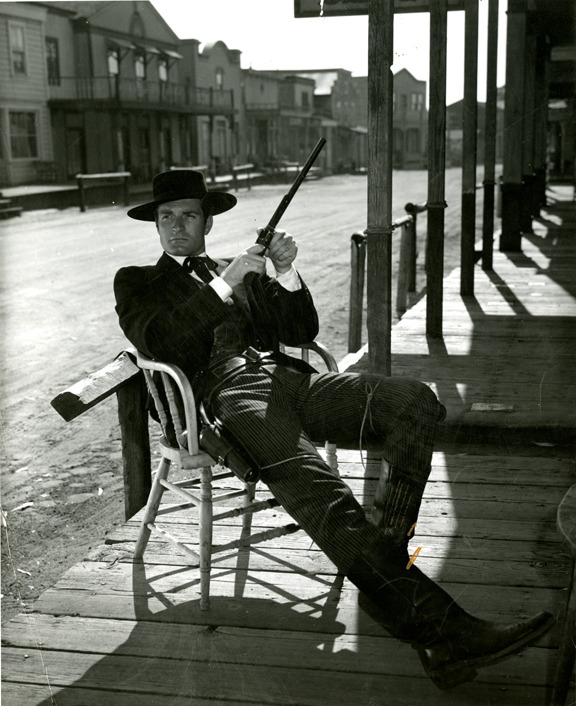 My second gun, which I carried at my left hip, was the standard Colt's frontier model forty-five-caliber, single-action six-shooter with the seven-and-one-half inch barrel, the gun we called 'the Peacemaker.'" This is the biggest load of hooey in the history of the Old West and it doesn't even sound like Wyatt. So, of all the B.S., Lake is the biggest fibber and laid it on the thickest, and his book sales and the subsequent movie and TV bonanza showed he gave the public what they wanted: a super lawman for the times. I don't think it's too much of a stretch to say Lake turned Wyatt Earp into the Godzilla of the cowtowns. All the lying paid very well. With all of this on my mind, I got up this morning and did a little portrait with the notation that the past is a murky, hard-to-see-clearly place. Must be all that dust and gunpowder. Daily Whip Out: "When The Smoke Clears." "Art will fly if held too lightly, art will die if held too tightly. Lightly, tightly, how do I know whether I'm holding or letting go?"